Are you considering using video marketing? You need to be clear why you are doing it and who you are doing it for. Don’t underestimate how much time and effort you will need to commit to the project. We’ve all seen videos that are boring, that tell us nothing and are just not exciting. You need to make a video people care about. A video that adds value to your business and services. We are all busy people. We get hundreds of messages every day via marketing channels; email, social media and telesales calls. We’ve all answered phone calls asking ‘Who is in charge of your telephone system?’. We’ve all seen our inbox clog up with emails telling us ‘there is something wrong with your website. We can do a free audit and fix it for you’ – total rubbish in most cases but you’re worried now aren’t you? The power of fear as a Marketing tactic strikes again. Anyway, we’re overwhelmed every day with marketing messages. Ask yourself, how is your video going to stand out? Tell us something we don’t know. Surprise us with a fact or some nugget of knowledge that piques our interest. Keep it short, keep it simple and your video should be about 30 seconds long. Your video is representing you or your business in a virtual world. It is there when you can’t be. It needs to add value, be useful and be engaging. Don’t just stand there and read from a script. You never get a second chance to make a first impression! Your video should have a purpose, a definite aim otherwise why bother. Don’t do it as a vanity project because you’ve always wanted to be on TV. Start with what you want to achieve and work backwards logically. Analysing the journey will give you the flow for your storyboard and get you to your desired destination. Remember, people want to learn so you’d best find out what your clients want – and it isn’t to be bored! Find out what works with some internal testing. If you are losing the will to live watching then so will your clients. They aren’t anywhere near as invested in it as you are. The world can be brutal so you need to impress from the first few seconds. Teach your customers about your services. Build up trust whilst demonstrating knowledge. What do your customers ask you about? That is an excellent starting point as an idea for a video. Your video is about you, your brand, your story, your services, your expertise and knowledge. Don’t sell yourself short with a poorly executed video. 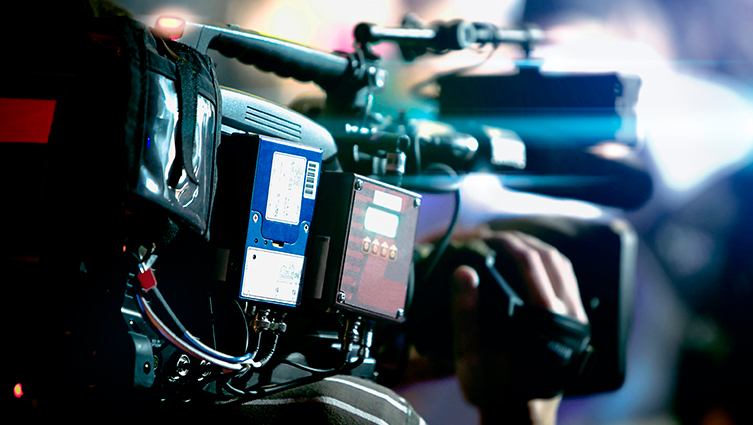 We work with video marketing experts. We can deliver great videos that work for your business when you can’t be there. If you’d like to talk about video marketing give Blackberry a call to discuss your requirements. Call 01527 517 309 or use our contact form.